Marty is a Professor of Informatics, Instructional Systems Technology, and Cognitive Science. Beginning in 2001, he served in many administrative positions, including the founding Director of the Human-Computer Interaction Design (HCI/d) Master's Program, Associate Dean of Graduate Studies and Research, the Executive Associate Dean of the School, the Director of Graduate Studies in Informatics, and the first Chair of the Informatics Department. From 1991-1999 he was the Director of Research and Development at the Center for Excellence in Education. In this context, he founded Indiana University’s first start-up company, WisdomTools (founded in 1999 and sold in December 2008). The company focused on the development of “next generation” learning tools designed to develop deep, insightful learning. Marty is among a group of pioneers in online learning, beginning with his work in the 1970’s and 1980’s on the PLATO system (see Brian Dear's book, The Friendly Orange Glow). At the University of Illinois, he was a professor in the Educational Psychology Department and the Graduate School for Library and Information Science. Additionally, he was the Assistant Director of the Computer-based Education Research Laboratory (CERL) and Head of CERL’s Curriculum and Applications Group. In 1988, he was Microsoft’s first Faculty Fellow. Before coming to Indiana University in 1991, Marty served as Director of Professional Services at Authorware (which became Macromedia and is now a part of Adobe). 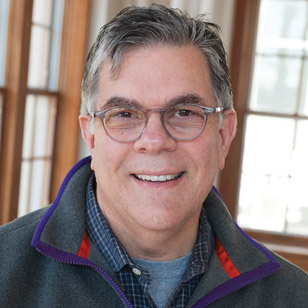 At Indiana University, Marty’s research focuses on the design of digital learning environments; slow change interaction design, and design pedagogy. He co-directed with Erik Stolterman a National Science Foundation grant on design methods (NSF Project #1115532). Marty is writing a book about teaching and learning design, The Design Habit: From Non-designer to Designer. Marty's current project is the creation of a new undergraduate degree program, a joint effort of the School of Art, Architecture + Design and the School of Informatics, Computing, and Engineering. The new major will be called "Experience Design" (XD), and the hope is to see it launched in 2020, a new degree for the new IU century!